Novelty.....There is a wide range of reasons to have miniature cattle. For the most part, people want something unique and sometimes colorful to look at. Many people enjoy caring for animals but want something besides a horse that doesn't get ridden or a dog no one plays with. Most people who enjoy these animals want "the smaller the better". Most of these animals are under 36 inches. Miniature zebu are the smallest breed as well as their crosses. Kids.....Many kids and their families enjoy the fair but are intimadated by the large animals. Miniature cattle of almost any breed offer a great opportunity for kids to take an animal that is easy to train and care for. Bottle fed calves at the fair get lots of attention.... and so do the kids. 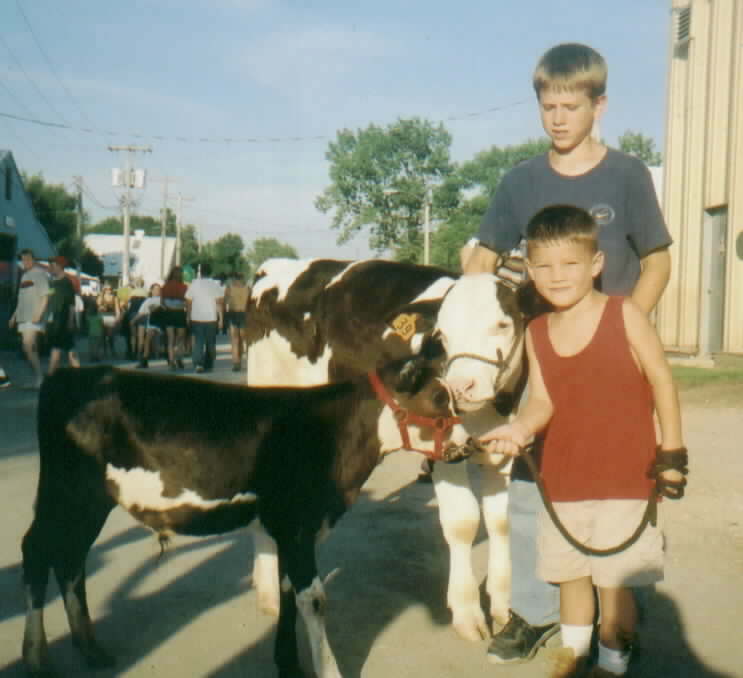 Taking care of an animal gives kids responsiblity and they are rewarded by going to the fair. Their small size makes the calves easy to handle for kids of almost any age. A great project for kids any age. Home-grown beef.....With a national move toward healthy and drug and chemically free food, miniature cattle have found a place. Beef type animals such as Dexter, Lowline Angus and Hereford offer big options in a smaller package. 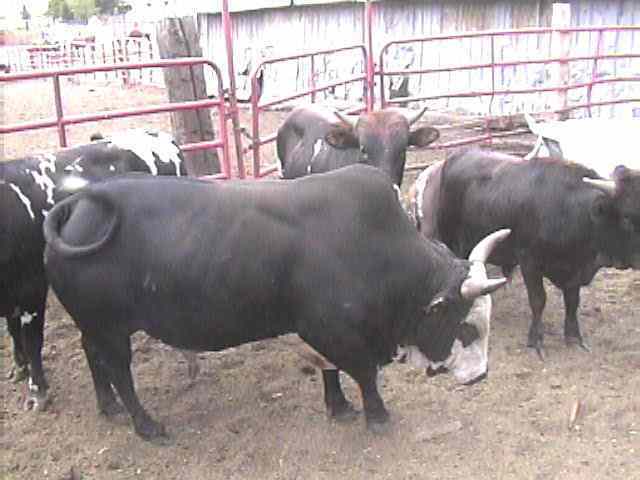 These breeds and thier crosses provide natural beef that can be rasied at home without all the huge equipment of feed expenses. Mature animals are half the size of standard breeds but can fill a freezer just right for a small and growing family. Mini-Milkers.....Again,natural is the best. As people get tired of city life, they look to way to make their family better. Natural milk provides great nutrition for the whole family as well as other animals on the farm. Natural milk provides nutrients that are killed during the process of getting it to the store. Miniature jerseys and dexter cattle are great breeds to provide what a growing family needs. Kid Rodeos..... Great family fun across the country is RODEO. People of all ages are getting involved and kids want to be a part of it. Any breed works. Rodeos are looking for animals 6-900 lbs and can carry a kids 150lbs or less. Zebus work for smaller kids but they just don't have the bone structure for the bigger kids. The beef breeds have the bone but too much meat. The crosses work the best and is a great way to sell surplus bulls that may end up larger than you wanted. Rodeo fans love color. Oxen.... What!? Thats right, oxen. Oxen are any breed of cattle, a male that is casterated and trained to work. Cattle under 4 yrs old are working steers, over 4 they are oxen. Oxen helped build this country and many people haven't forgot that. Ox clubs all over the country promote their history and uses still today. 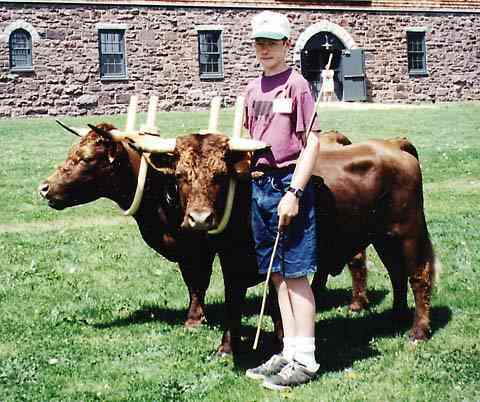 In the northeast, 4-H clubs have been formed just for kids with oxen. Standard breeds out gorw the kids fast, any miniature breed is a perfect fit for the young and young at heart. Anything.....This is the great thing about miniature cattle. There is a breed or crossed breed that will work for any one for just about anything. Got a new place? mini cattle are great at clearing brush. Too much grass to mow? they make great living lawn ornaments. Organic food and fertilizer, petting zoos, school programs, elderly and hanicapp therapy animals. A little time, effort and lots of fun make the mini cattle a perfect fit for almost everyone. To find out more information click on the pictures that interest you or these other links below.